Look at that cheeky chappie smile! 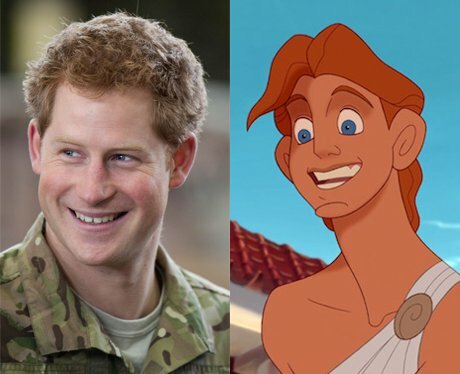 We all know Prince Harry loves the outdoors and has served in the military, but we're not sure he could beat Hercules in the hero stakes. We've never seen the Prince without his shirt, but we're guessing he's Hercules pre-training as opposed to the muscular guy we see at the end of the film!